Why did we choose Lindsay? She’s a mom that has been part of Our Village since pregnancy. She took our Fit4Baby® program. 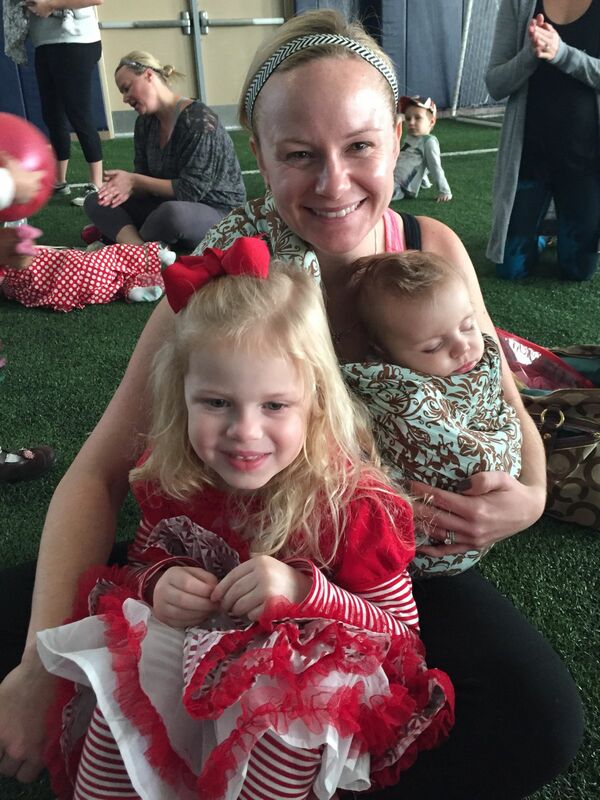 She also enjoys Stroller Strides® and Stroller Barre® with her two kiddos. She has been thinking and talking about Body Back for a long time, and now she's ready! She’s committed to making big changes this session, and we are excited to follow her. My daughter Grace had her 4th birthday party today. I resisted both pizza and cake! Before the party I posted on our Facebook group about the party and my food plan. Hearing the groups supportive words strengthened my determination to stick with the food plan. It was also motivating knowing that I would have to follow up with the group and would be able to share my success with them. I am so motivated! My husband and I are enjoying keeping each other on track and eating delicious fresh food. I am excited to see where the next seven weeks take me. Physically I am sore from my first Body Back workout yesterday, but I know the pain means I am making progress!